The task assigned to us by the Riksdag and the Government is to promote awareness of, interest in and trust in Sweden abroad, to increase cooperation in Sweden’s vicinity, and to facilitate democratic, equitable and sustainable global development. democratic, equitable and sustainable development in developing countries. Our vision is a world in which individuals and nation-states join together in seeking solutions to the global challenges of the future. By understanding developments in other countries, the needs of our target groups and how Sweden is perceived abroad, and by broadening our dialogue with actors in Sweden, we make it easier for SI and Swedish actors to be successful in cooperation with other countries. By constantly improving our communication and support in respect of methodology, technology, form and content, we are relevant to individuals and actors wishing to operate in an international context. Via the knowledge, expertise and economic resources made available through SI, we strengthen the capacity and ability of individuals and institutions to press for democratic, equitable and sustainable societies. By being relevant to the networks created through SI activities, we contribute to long-term development in Sweden and our surrounding areas. Sweden’s international relevance and credibility is strengthened by a reciprocity perspective, where the benefit to both Swedish and foreign actors is clear. Partnerships based on mutual interest and a clear division of responsibility generate relationships that are sustainable in the long term. Developing trust-building activities is both a long-term commitment and a perspective that needs to inform all SI operations. This means that individual initiatives are tested in a wider context as part of a long-term plan for how Sweden can best maintain and develop further those relationships that evolve from whatever activities are undertaken. SI activities are based on a keen awareness of our target groups and of their situations, needs and interests. This enables us to understand how Sweden and Swedish skills, experience and values may be relevant in other countries and how we are to adapt our activities and communication accordingly. Trust in Sweden and Swedish actors in other countries is strengthened by a coordinated approach together with Swedish missions abroad, promotional organisations and other actors. By choosing our partners wisely, we ensure greater impact. We work through others in order to reach more people and bring about the desired change. 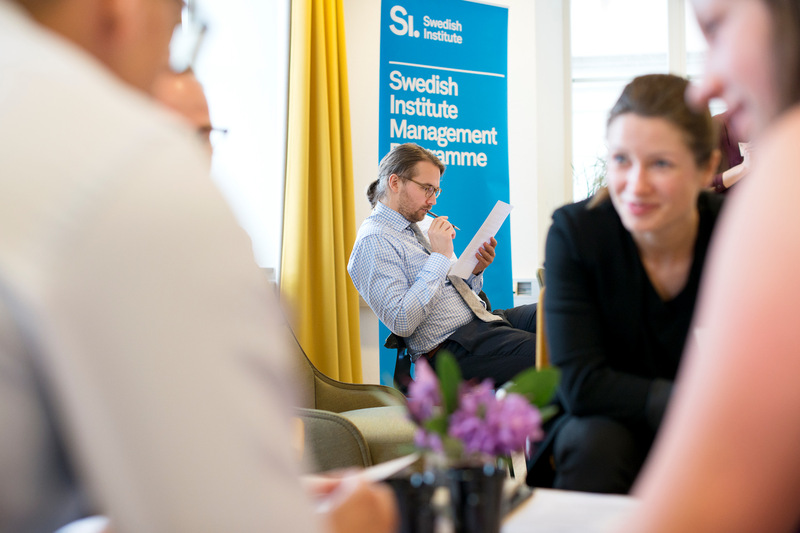 SI aims to facilitate, on a long-term basis, Swedish actors’ exchange and cooperation both globally and in important partner countries where Sweden needs to develop new relations. This applies in particular to countries experiencing economic growth and other forms of societal transition and reform but where low awareness or major differences in values are limiting or preventing more extensive interaction with Sweden. + New addition: In strategically selected focus countries, SI seeks to emphasise relationship-building and network-building, in cooperation with Swedish missions abroad. Good management of resources must inform all SI activities. This means that activities are managed and coordinated so that the agency’s capacity and skills are strengthened in such a way as to bring about synergies. We make tactical choices on the basis of sound analysis and internal learning. Public diplomacy – understanding, informing, influencing and developing relations with people in other countries in order to create influence, closer relationships or change. The world’s countries have undertaken to lead the world towards a sustainable and fair future from January 1, 2016 until 2030. The mission of SI is to “promote a democratic, fair and sustainable global development”, which largely coincides with the core ambition of The 2030 Agenda. The central goal of our strategy is number 17 cooperation, which is also the red thread of our operation. Already today, our operations affect all 17 sustainability goals to some extent, but our work continues throughout all parts of the organization.